Using anagrams and its Twitter account, United Airlines took a novel approach to launching three new routes. United Airlines took a rather novel approach to announcing its new routes. Around 24 hours in advance of the press release, the United twitter account posted a series of Anagrams in the form of videos. These videos showed the words “aircraftmen coasts nomads”, “arena kelp towns”, and “orange kraut pew”. The airline invited its followers to try and decipher the new destinations, and some did a good job of the task! The first clue that United released was “Aircraftmen Coasts Nomads”. This was to represent their new service from San Francisco to Amsterdam. Launching on March 30th, 2019, the service between San Francisco and Amsterdam will operate daily. The B787 flight will compliment the airline’s other routes to Amsterdam which originate in Chicago, Houston, New York, and Washington. UA 968 will depart San Francisco at 2.55pm, arriving in Amsterdam the next morning. UA 969 then departs Amsterdam at 2:50pm, arriving back 4:50pm. The second of the new routes was given as “Arena Kelp Towns”. This anagram represents the Newark to Naples route that the airline is to begin operating. Beginning on May 22nd, United will be the only carrier offering direct flights from North America to Naples. As Naples is primarily a tourist destination from North America, the flights operated will be seasonal with the route suspending operation after October 4th 2019. The new Naples route with be United’s 6th route to Italy. The flight will depart from Newark as UA 964 at 5:25PM every day, arriving in Naples at 8:05 the next morning. The return flight, operated as UA 965, departs Naples at 10:10am arriving back in Newark at 2:05pm. A B767-300 will service the route. The airline’s 3rd route clue was Orange Kraut Pew. This stands for Newark to Prague. Another seasonal route, Newark to Prague is set to operate from June 6th until October 4th. While tickets are already on sale, when selected on United’s website the warning “Subject to receipt of government operating authority” displays. Again, the route will be operated by a B767-300 aircraft with a 2-1-2 layout in Business and a 2-3-2 layout in economy and premium economy. The flight will depart Newark daily as UA 188 at 6:05pm, arriving in Prague the next morning at 8:25am. Similarly to the Naples flight, UA 187 will then depart Prague at 10:10am, arriving in Newark at 1:30pm. 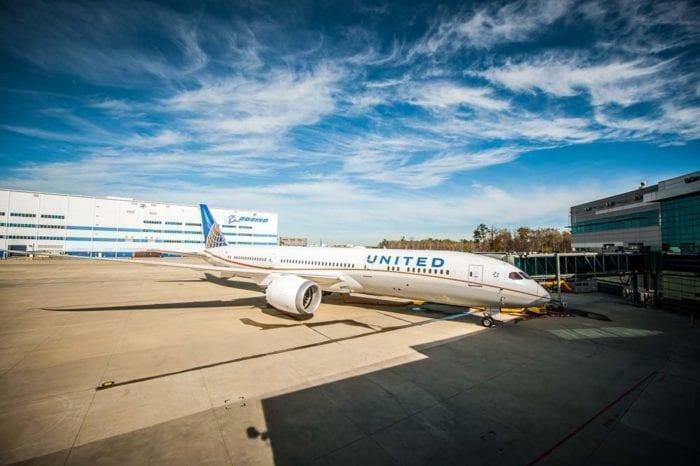 In a press release on their website United Airlines commented “In addition to offering customers new service to Amsterdam, Naples and Prague, United is continuing to build its global network of nearly 360 international destinations in 49 countries. … As previously announced, United will also begin the only nonstop service between Washington Dulles and Tel Aviv, Israel next year. It’s good to see United strengthening their European operations. While it was certainly fun to guess the new destinations, hopefully this doesn’t become the norm for airline announcements!